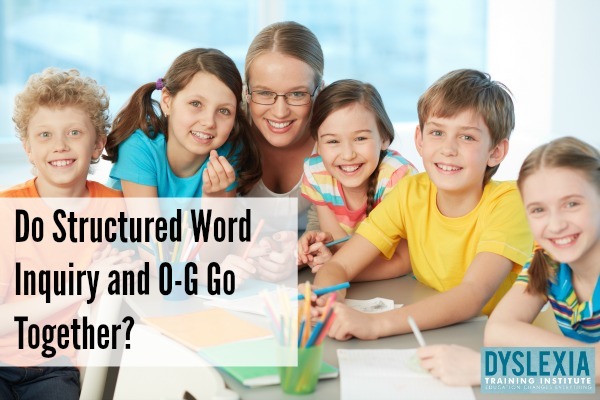 Structured Word Inquiry and O-G? Have you heard the buzz about Structured Word Inquiry (SWI)? Are you curious how Structured Word Inquiry answers the call for Structured Literacy for our students with dyslexia? No one can explain it better than Gina Cooke does in the following article, Is This OG?, from Linguist-Educator Exchange. But you must read it, and I mean read it carefully, with an open mind and an understanding that we do the best we can with the information we have at the time. So, what will you do with the new information you are about to acquire? Many thanks to Gina Cooke for allowing us to repost her amazing article! I first learned about Orton-Gillingham in 1999, at a college fair where I was staffing a booth for my alma mater. The woman at the table next to me was an OG tutor, and she described her work as “teaching English phonology to kids with dyslexia.” As a teacher, I had never heard of OG, and had only heard the common myths about dyslexia. As a linguist, I had heard of phonology — the way a language organizes its sound system — and teaching it to help children who struggled with reading sounded like the perfect job for me. With a lot of serendipity and a little hard work, I soon found a highly reputable OG training program near my home, and signed up. I was fortunate to study with two well-known Orton-Gillingham trainers, both of whom had long been active members of the International Dyslexia Association (IDA). Both were Fellows in the Academy of Orton-Gillingham Practitioners and Educators, and I could trace my OG “genealogy” back through them directly to both Dr. Samuel Orton and Anna Gillingham, the psychiatrist and psychologist who first developed the teaching approach. I still show this lineage to the tutors I train now, more than a decade later. I’ve always been proud to be part of a field with such a rich tradition of rigorous teacher training and the enormous rewards of helping struggling children to become more literate. After a couple of years of teaching children with an OG approach, I also began to teach other teachers about it as a conference speaker and teacher trainer. I got involved with IDA, and began to understand the teaching approach as Multisensory Structured Language Education, a more comprehensive and descriptive term than Orton- Gillingham. Regardless of the name, I saw that the approach made a difference not only for children who were struggling with literacy, but also for teachers who were struggling to teach it. Whenever I trained teachers, whether in year-long clinical training programs, school in-services, or in conference presentations, I emphasized two central aspects of our joint work: the distinctive features of the approach, and the pattern-recognition strengths of the dyslexic brain. According to the IDA’s Knowledge and Practice Standards for Teachers of Reading, “Effective instruction employs instructional approaches . . . that are explicit, systematic, cumulative, and multisensory. They integrate the teaching of listening, speaking, reading, spelling, vocabulary, fluency, handwriting, and written expression. These approaches also emphasize the structure of language: phonology, orthography, morphology, syntax, and semantics” (http://www.interdys.org/standards.htm, my emphasis). In my own early Orton-Gillingham training course and in the training I provided for other teachers, phonology — the sound structure of a language — was always prioritized as the primary aspect of reading and spelling in English, just as it is in the IDA standards, and just as it had been by my college fair neighbor more than a decade ago. Phonology always gets first billing in the research and in the standards in the field, before orthography (the writing system) and morphology (the meaning structure of words). 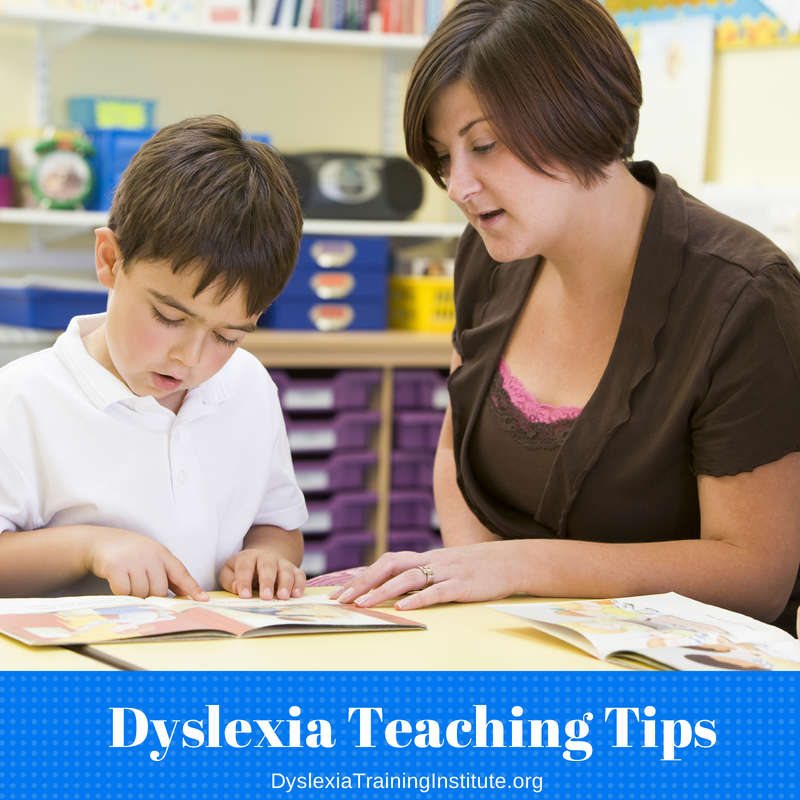 Teaching English phonology goes a long way toward helping children become better readers, and the field of dyslexia remediation prides itself on its research foundation that highlights phonological awareness as a core factor in successful reading instruction. However, things aren’t so clear when it comes to spelling; being able to read a word is no guarantee of being able to spell it, and spelling words based on the way they are pronounced can be disastrous for English. 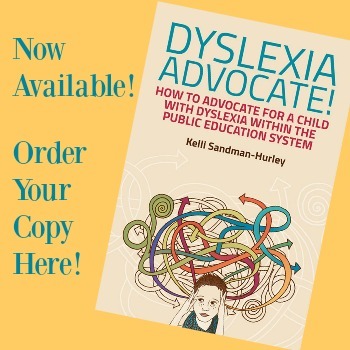 Over the years of working with dyslexic children, I noticed that their reading generally improved significantly, but their spelling continued to lag behind. Teachers I trained also became much more confident about teaching reading, but struggled to help students understand why some words are spelled with, for example, an <ee> digraph, while others are spelled with an <ea>. Homophones like <feet> and <feat> or <heel> and <heal> were not difficult for reading, but children and teachers alike struggled to understand and explain their different spellings. I spent years training teachers to train children that there are just some words (a whole lot of words) that just have to be memorized. Some children were successful memorizing such words, but most of them were not, and their overall spelling skills remained relatively poor. In 2008, however, I was introduced to WordWorks (www.wordworkskingston.com) and Real Spelling (www.realspelling.com) through one of my principle OG trainers, and began an ongoing correspondence with their respective authors (see WordWorks founder Pete Bowers’s article in this same issue of The Examiner). Unlike the teachers and trainers I had worked with in OG, these two experts seemed to know a lot more about the linguistic structure of written English than I did. Because my graduate studies were in linguistics and not in education, I had grown used to having a deeper understanding of language structure than most of my colleagues, even those who had trained me. But this conversation was different in a few important ways. First, dyslexia remediation and the research base in the field tend to start with reading and include spelling as a secondary piece (Moats 2009), but WordWorks and Real Spelling started with spelling. Second, my OG training had shaped my understanding of orthography as simply spelling rules and generalizations, like when to use a <ck> and when to use a <k>, but my new correspondents understood the orthography to be the whole of the writing system itself, “human thought made visible as text” (see Real Spelling Concept Model). Third, Orton-Gillingham typically reserved morphology as an advanced topic, one to approach with older or more proficient students, once the phonology had been mastered, but I was beginning to understand morphology as the “defining and delimiting principle” of English spelling (Real Spelling), without which the phonology cannot be properly understood. For example, the letters <ea> in <reach> behave differently than the letters <ea> in <react> — and that difference is governed by the morphology, by the two different morphological elements <re> + <act>. The most important difference, however, between my dialogue with WordWorks and Real Spelling and my previous OG training lay in the way that my interlocutors supported their assertions about language. Whereas professionals in my field generally cited a few specific authors when it came to questions about morphology or phonology, WordWorks and Real Spelling laid out linguistic evidence to support their claims about how English writes its words. They showed me word sums and word matrices that made explicit the systematic structures of the written word — the very thing that OG claims to do. That 2008 correspondence absolutely changed my life. It changed my understanding, and it certainly changed my practice as a teacher and as a trainer. The following spring, I traveled to France for a Real Spelling study week, and in the summer, I attended a three-day WordWorks seminar. In the fall, I began a PhD program, which is now nearing its completion with a dissertation on English spelling. This extended study continues to transform my understanding of and approach to the written word, and my ongoing research continues to change the way I teach children and train teachers about English. Whereas most OG practitioners have a bank of words for memorization — often called sight words, learned words, red words, or non-phonetic words — the teachers and students I work with investigate the internal structures of words to find an understanding and an explanation for the ways words are spelled. They look for the meaningful structures in words — the bases, the prefixes, and the suffixes — and for meaningful connections between words that share historical (or etymological) relationships. Not only does their spelling improve, but they are also better equipped to read for meaning, not just for pronunciation. Consider the examples I gave earlier of <heel> and <heal>, <feet> and <feat>. Rather than teaching students to memorize these pairs of homophones, we show them that the <ea> digraph can be pronounced in different ways, highlighting the relationship between heal and health. The <ee> spelling doesn’t work the same way; *<heelth> wouldn’t work for the ‘short-e’ pronunciation of health. Likewise, a relationship with <foot> clarifies the choice of spelling for <feet> (not <feat>) — many words with the <ee> digraph are related to words with <oo> or <o>. Some of these relationships are obvious, as in feet and foot; others are less so, as in heel and hock, or deem and doom (both denote ‘judgement’), or heed and hood (both denote ‘cover’). On the whole, children and teachers enjoy engaging with the stories of language, and the ways in which it makes sense. Finding patterns and structures is a strength for many dyslexics; by teaching the patterns and structures that govern spelling choice, we can exploit this strength to remediate the weakness of poor spelling. In so doing, we not only teach the spelling of specific words, but we pursue a study of the orthography — the writing system — as a whole. Along the way, children have the opportunity not only to learn how words are spelled but why they are spelled that way, and to develop a deeper understanding of their meanings, whether for reading or for spelling. These perspectives have sometimes been difficult for others in my field to swallow, and I’ve been questioned on more than one occasion about the changes in my understanding and in my practice. “Yes, but is this OG?” other practitioners have sometimes asked me. Teachers I train have struggled to explain to parents just what it is they do with word study, because a traditional understanding of Orton-Gillingham might not convey an accurate picture. I have had countless conversations with my OG colleagues about whether or not our approach can continue to be called OG, or multisensory structured language education, the “effective . . . instructional approaches” as laid out in IDA’s Knowledge and Practice Standards above. Over the course of these conversations through the past five years, I’ve begun to be able to articulate my understanding of why this emergent perspective on teaching the English writing system matters so much. Science-based reading research has worked with a phonological emphasis for more than 50 years, but in the English writing system, morphology, etymology, and phonology share the role of organizing the language. I’m not suggesting that phonology doesn’t matter; on the contrary, it matters a great deal, and that’s why we need to know that for spelling and reading, phonology can only be properly understood within a morphological framework. The tools of the word sum and word matrix (see Bowers, this issue) lend themselves readily to the multisensory, synthetic, analytic, diagnostic, systematic, and explicit study of language structure (Bowers & Cooke 2012). Dyslexia studies and multisensory structured language education are dynamic fields, based on ongoing scientific research. Any scientific understanding is always pending further evidence; being a scientist means that one must be willing to revise one’s perspectives if a more elegant explanation can be found (see http:// wordworkskingston.com/WordWorks/Seeking_the_Elegant_Solution_files/elegance imperative.pdf). Emergent research indicates the literacy benefits of studying morphology for all students, especially the youngest and the most at-risk (Bowers & Kirby 2010, Bowers, Kirby & Deacon 2010, Carlisle 2010). Just as the research in the field continues, our understanding must also continue to evolve. Samuel Orton and Anna Gillingham were pioneers. In the early days of this field, they and their colleagues refused to accept the conventional wisdom of their day, which designated children who failed to acquire literacy as mentally retarded or ineducable. Instead, they put themselves to the task of figuring out how such children actually learned, and how the language itself worked. During her lifetime, Anna Gillingham revised her teaching manual and her teacher training multiple times in order to reflect the most current understanding of the English language (McClelland 1989). Like our predecessors, those of us working today owe it to the field and the people it serves to continually seek to refine our understanding and our teaching. When people ask me “Is this OG?” I tell them that it depends on what they mean by OG. If what they mean is a stagnant approach that looks exactly the same now as it did 40, 50, or 60 years ago, then no, it isn’t. If what they mean is an approach to teaching language structure that is informed by emergent research, then yes, it is. As a teacher of both children and teachers, I want to be an example of someone whose learning is not static, someone who rises to the challenge of new learning, even when it’s not comfortable or familiar. After all, as I mentioned, I’ve always been proud to be part of a field with such a rich tradition of rigorous teacher training and the enormous rewards of helping struggling children to become more literate. Bowers, P. N., & Kirby, J. R. (2010). Effects of morphological instruction on vocabulary acquisition. Reading and Writing: An Interdisciplinary Journal, 23, 515-537. Bowers, P.N., Cooke, G. (2012, Fall). Morphology and the Common Core: Building students’ understanding of the Written Word. Perspectives on Language and Literacy, 31-35. Bowers, P. N., Kirby, J. R., & Deacon, S. H. (2010). The effects of morphological instruction on literacy skills: A systematic review of the literature. Review of Educational Research, 80, 144-179. Carlisle, F. (2010). Effects of instruction on morphological awareness on literacy achievement: An integrative review. Reading Research Quarterly, 45, 464-487. McClelland, J. (1989) “Gillingham: Contemporary After 76 Years.” Annals of Dyslexia, 49, 3-49. Moats, L.C. (2009) “Knowledge Foundations for Teaching Reading and Spelling.” Reading and Writing: An Interdisciplinary Journal, 22.4, 379-399. This entry was posted in Orthography on January 20, 2016 by Dr. Kelli Sandman-Hurley. I can’t describe just how encouraged I am by this article. I am a German professor by training (dissertation in Applied Linguistics/ Second Language Acquisition), and I am currently homeschooling 3 sons, one of whom is dyslexic. While I appreciate the OG reading system my husband and I chose to remediate the dyslexia ( we use the Barton System), I have often felt that a historical and/or descriptive linguistic explanation for the way English is could be helpful (at the right time and in the right “dose” for our son). Among my grad courses were not just historical linguistics, but also comparative German-English linguistics (syntax and phonology particularly), enough information for me to know that there is a better way — there has to be a better way — to explain the seeming “vagaries” of English spelling to those who learn it. Thank you for tacking this issue. I look forward to following future posts on LEX and here on the Dyslexia Training Institute site, and I plan to learn more about Word Works and Real Spelling. This was a wonderful article. I have a background in education, but just started tutoring using the Barton system in the past year. I am learning by leaps and bounds as my students progress through the levels. The idea of teaching spelling through morphology and word origins fascinates me (I remember loving the couple of linguistics classes I took in college). Do you have any suggestions of next steps I could take to integrate this approach into my teaching? Do you think that the two approaches can be effectively taught concurrently? At the very beginning of reading instruction (learning the letters and sounds, CVC words, and digraphs) would SWI be similar or different to OG instruction. Thank you, this was an interesting, helpful article. I completely understand what you are saying about OG. My dilemma is how to begin to affect change where I am. We are deeply ingrained in OG for interventions. I am currently working on a plan to ease educators into this way of thinking. Can you tell me how SWI differs from the “morphology” classes included in OG training? Thanks! Is there any book available that contains this information? I find reading on websites very difficult not organized the way I think. I also prefer a hard copy reference. Thanks! I’ve been a master certified Barton tutor for about 10 years. While I love the program for my youngest students, I am often left with the feeling that it isn’t quite enough for my older students. Once they graduate from the Barton program, they often stay and we work on writing. It is the perfect opportunity for me to see how those spelling skills generalize into their writing. I have sometimes wished I had materials to take a deeper dive into the origins of words that trouble them the most. I am delighted to see SWI and look forward to learning about it! 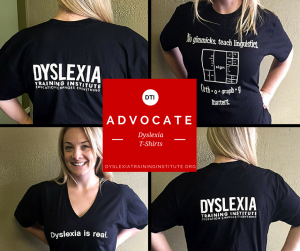 Thank you, Gina, for your leadership in the dyslexia community. So is there a “program” that is used, to be trained on, like how Wilson is taught?? If so can I get information and what are the name of these programs? I’m in Illinois. Are there programs/training centers here I can investigate?